Gemstone Information, Facts, Origin, Benefits, Planets, Precious Gemstones. We are dealing with the yellow sapphire, blue sapphire, emerald gemstone, ruby gemstone, hessonite garnet gemstone, red coral gemstone and pearl gemstone. A ruby is a pink to the blood-red colored gemstone, a variety of the mineral corundum. Ruby is said to give name, fame, vigor, virtue, warmth and the capacity to command to its wearer. Ruby gemstone also is known as Manik in Hindi. Find here online price details of companies selling Ruby Gemstone. Buy Natural Ruby Stone online directly from Ruby gemstone wholesaler. We import Ruby stone rough from mines. If you want to wear a Ruby Gemstone, you can wear a 3 to 6 carats Ruby stone. Light or dark Red & Pink color and transparent Ruby of Bangkok will give the best results according to my experience. Make in gold or Copper ring and wear it in the morning of any Sunday during 6 to 7 AM, wear it in the ring finger. 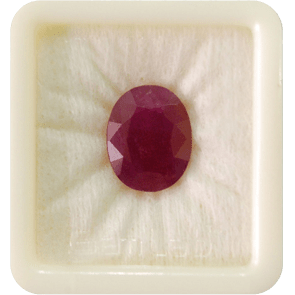 Ruby or Manik is the potent gemstone, often referred to as the King of Gemstones, which correlates with the fact that this gemstone is associated with the most powerful astrological planet, the Sun. This attractive gemstone comes in red color and its hues, such as pink, violet and purple, the color varying from stone to stone. Blue Sapphire (Neelam Stone) Blue Sapphire (Neelam Stone) is a highly precious, blue colored gemstone of the Corundum mineral family. Blue Sapphire is the strongest and the fastest acting gemstones. The effect of this gemstone is so instant for some individual. Neelam or blue sapphire is the gemstone connected to Saturn. 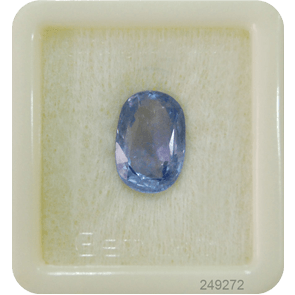 Buy natural blue sapphire gemstone (Neelam stone) at the affordable price in India. If you want to wear a Blue Sapphire Gemstone, you can wear a 3 to 6 carats Blue sapphire. Transparent Blue sapphire of Ceylon will give the best results according to my experience. Make in gold or silver ring and wear it in the morning of any Saturday during Shukla Paksha, wear it in the middle finger. Yellow Sapphire (Pukhraj) Yellow Sapphire is a highly precious, yellow colored gemstone of the Corundum mineral family. It is one of the most recognized gemstones in Vedic astrology worn for professional success, marital bliss, improved willpower and healthy progeny. Yellow sapphire is a gemstone worn to appease Jupiter/Guru, which is the heaviest and biggest planet in the Solar System. Pukhraj gemstone is one of the most widely used gems to help achieve better financial status. 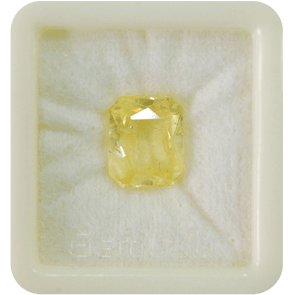 A yellow sapphire weighing 5-7 ratti will be effective. The yellow sapphire should be studded with a gold ring and worn on the index finger, on a Thursday, which falls in the Shukla Paksha. The yellow sapphire stone derives quick wealth for its wearer. It helps to improve the financial status of the wearer as well as shower him or her with a lot of wealth, good health, fame, name, honor, and success. It is a beneficent planet which represents wisdom, knowledge, education, good fortune, children, devotion, distant travel, prosperity, justice, and charity. Pearl Stone is an exquisite gift of nature, which is an organic gem formed in the depths of the sea. 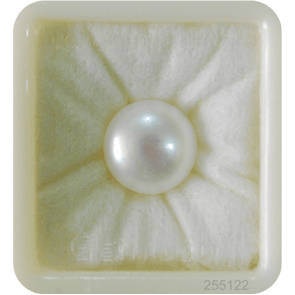 Pearl Gemstone has the most amazing natural luster. Pearl gemstone is considered the queen of gemstones and it is effective for harmonizing the Moon or Chandra. Astrologically, Moon, like the Sun, lies in the center of the Solar System. On the physiological level, Moon signifies the hypothalamus, which influences the behavior and emotions of an individual, in addition to playing a key role in reproductive and hormonal cycles. This planet also regulates the body temperature and lies in the central position in the brain. Red Coral Gemstone is an organic gem formed by the skeletons of marine animals, which occur in natural coral reefs. The color of best quality coral is a uniform deep red and is full of luster. Red coral is a gemstone of planet Mars or mangal and is effective for invoking the beneficial effects of this planet. 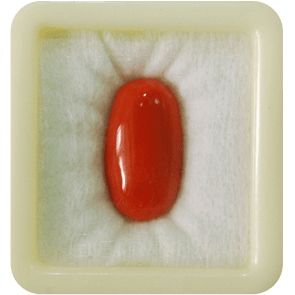 Coral gemstone represent Mars which is a planet of management and organization, which makes it the commander in chief of the solar system. As a gemstone of Mars, Moonga stone generates new stamina and energy in the wearer and provides protection from diseases of the blood. It has a calming influence and brings happiness and financial growth for the wearer. It can help the wearer overcome the baneful effects of Mangal Dosha in his horoscope. We are dealing with the natural Italian red coral and white coral gemstone online. You can place an order online at the best price for your astrological needs. Feel free to contact customer support for further details about the pricing of the gemstone. 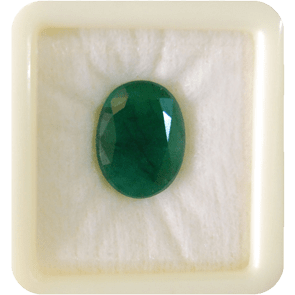 Emerald Gemstone called as a Panna gemstone in Vedic astrology is a splendid gemstone, which is known for its appealing green color, which occurs in nature in a special cut called the Emerald Cut. Emerald is the gemstone of planet Mercury or Budha and is worn to counter the implications of an ill placement of this planet. Mercury deals with communication, speech, education, intelligence, teaching, learning, writing, drawing, trade, commerce, and diplomacy. Emerald stone has been considered as the symbol of love and hope. Panna stone brings wisdom and education for the wearer, besides improving his physical health. The stone has the ability to help the native overcome stress and also calms down emotions. You can buy natural certified emerald gemstone at the best price from our online store. We are dealing in Colombian emerald stones, Zambian Emerald Stones and Brazilian emerald gemstones. 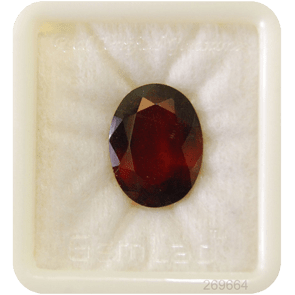 Hessonite Garnet Gemstone is the honey colored gemstone with the beautiful luster, which earns it the name of Cinnamon Stone. Sri Lanka is the chief producer of this charming gemstone, which is the stone of the Shadow Planet, Rahu. In Vedic astrology, Hessonite gemstone is called as Gomed or Gomedh stone. Rahu is the astrological planet which is considered similar to Saturn in influence. It represents worldly desires, ignorance, rigidity, laziness, and gratification, in addition to bringing drastic influences in the life of the native. Being the gemstone of Rahu, hessonite has the ability to balance the energies of this powerful planet for the native. it helps the wearer to overcome all financial and physical problems caused by ill-placed Rahu. The stone has the ability to revitalize the wearer and generate fresh vigor and energy in his whole being. It calms the mind and brings hope to the wearer. Rahu represents the Head of the Dragon and is related to the head of the caudate in the human physiology, which controls activities like the focus of the eyes, memory, and ability to bring about behavioral changes in oneself. 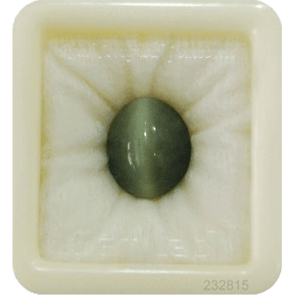 Cat's Eye Gemstone or Lehsunia is a brilliant stone which resembles the eyes of a cat. A variety of chrysoberyl mineral, this wonderful gemstone exhibits natural phenomena called chatoyancy, with inclusions in the form of fine needles to give them the perfect cat eye look. It is the gemstone of planet Ketu, another shadow planet, which lacks a physical body as per Vedic Astrology. Cats Eye is a radiant gemstone, whose color varies from light green to bright yellow. Wearing this gemstone can help the native invoke the positive influence of Ketu. It improves stamina and brings wealth and happiness of the wearer. This amazing gemstone also ensures the joy of progeny and also promotes wisdom and courage in the native. Just as Rahu is the Head of the Dragon, Ketu is its tail. The planet has effects similar to those of planet Mars. It represents liberation, thinking, healing, Moksha and hidden wisdom. In human physiology, this planet is signified by the tail of the caudate, which exercises control over emotions and learning.